As the proliferation of ticks continues in New Jersey, we continue to work closely with our clients so their pets receive the most appropriate parasite protection to ward off disease. Today, we have some good news for cat owners! Revolution for cats, our most highly recommended product, is now improved. Introducing Revolution Plus! 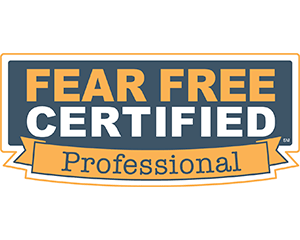 As you can see from the comparison above, feline Revolution Plus is FDA approved, and we believe the safest, most effective way to protect cats against fleas, ticks, ear mites, roundworms, hookworms and deadly heartworm disease. 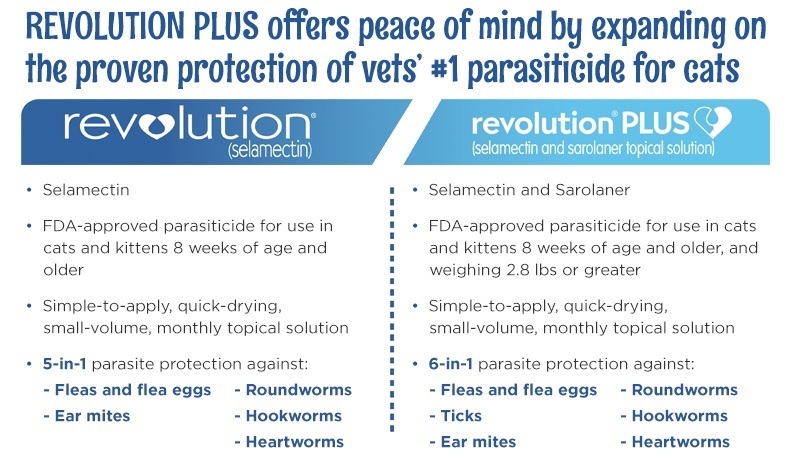 You only need to apply Revolution Plus once monthly to protect your cat from parasites. Remember that indoor cats need protection year round, just like those that may go outside occasionally or even live most of their life outdoors. And we can’t emphasize protection against heartworms enough. This deadly disease is carried by mosquitoes that sneak into homes unnoticed. Cats tend not to show any symptoms of the disease when they are infected. So owners are unaware that their cat is harboring a potentially fatal disease. Sadly, many cats can die suddenly from heartworm disease, when it could have been easily prevented by a monthly application of parasite protection. Have questions? Call our hospital or speak with your family veterinarian at the time of your next appointment.